Frontpoint strikes a happy balance between a premium DIY installation experience and superior customer service. So while Frontpoint isn’t the cheapest system, its customers tend to stick with Frontpoint longer than other companies. If you’re hunting for a security system with a manageable up-front cost and a reasonable contract, Frontpoint provides—and not at the expense of quality equipment and service. We love the company’s emphasis on providing premium DIY equipment that makes the setup process effortless. And Frontpoint really sets itself apart with a commitment to providing quality customer service. 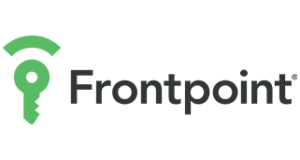 We’ve always been impressed through our interactions with Frontpoint over the years, and it might be a key reason why Frontpoint customers tend to stick around long after their initial contracts. Frontpoint’s monitoring plans are pretty standard across the industry. But one thing worth noting is that the basic plan doesn’t offer mobile access, which gives competitors like Vivint a slight edge in its lower tier plan. Frontpoint’s monthly prices are competitive, but its base plan costs more than competitors like Vivint, ADT, and Link Interactive. However, since Frontpoint subsidizes its equipment with its 3-year contracts, you’ll pay less upfront than a company like Vivint, which makes you pay the entire amount of your equipment costs. Frontpoint equipment is ready to go right out of the box. No tools, drilling holes, or batteries necessary. Setting up a home security system on your own can be daunting, but with Frontpoint’s streamlined packaging and equipment installation, it’s not unreasonable to say you could install your home security system in around 30 minutes. Crash and Smash Protection alerts Frontpoint’s monitoring center if an intruder tries to tamper with your control panel. That means no one can easily engage or disengage your home security system in an attempted break-in. Crash and Smash Protection alerts Frontpoint’s monitoring center if an intruder tries to tamper with your control panel. Frontpoint monitors its systems over a 4G cellular network, which is far more reliable than internet or landline monitoring. Even if there’s a power outage in your home, a backup battery keeps your system running, greatly reducing the chance for interruptions in your home monitoring. While Frontpoint uses Alarm.com equipment, its touchscreen control panel is totally unique. The control panel software is clean and organized, making it easy to arm, disarm, and customize your home security system. You can reach Frontpoint’s customer support line from 8 a.m. to 11 p.m. EST on weekdays, and from 10 a.m. to 7 p.m. EST on Saturday and Sunday. It also has a 24-hour emergency line if you run into any serious issues. Frontpoint’s customer support staff have a reputation for being friendly, helpful, and knowledgeable. We at ASecureLife.com are truly satisfied through our interactions with Frontpoint over the years. Frontpoint uses 36-month contracts. When you make it through your three-year contract, you roll into month-to-month service. If you want to break your contract within the 36-month window, you’re on the hook to pay 80% of your remaining contract. Customers appreciate Frontpoint’s attention to detail during the setup process. Customers confirm that the installation is as easy as promised, which creates a great first impression for new Frontpoint customers. A telling sign is that customers tend to stick with Frontpoint longer than the initial 36-month contract. That says a lot about the company’s commitment to its customers. Do we recommend Frontpoint security? Frontpoint sets itself apart from other home security companies with its thoughtful customer service, easy DIY installation, and overall reliability. With Frontpoint, you’re getting top-end equipment and a high-quality, reliable security system for a reasonable price and contract length. If you’re ready to protect your home with Frontpoint, take a look below to find a plan that works for you.